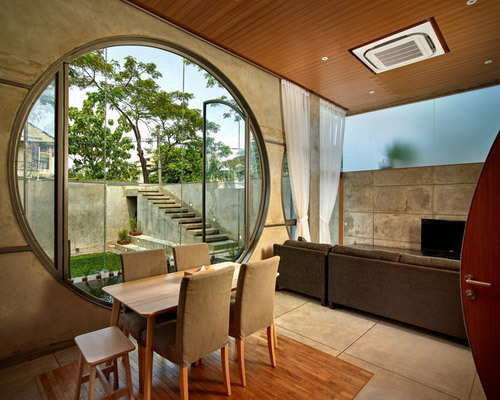 Tinuku ~ RAW Architecture implement circular window designs for private library. 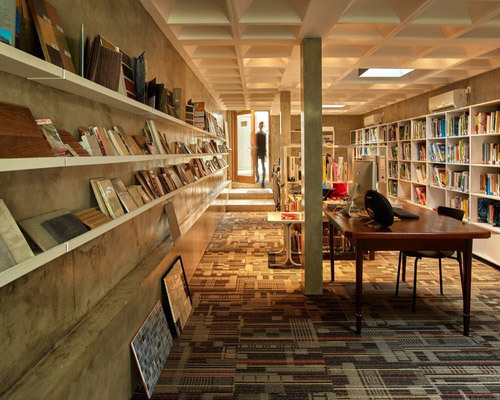 OMAH Architecture Library and bookstore building for residence and work space has wall fence sealed so as to keep quiet in noisy city of Jakarta. 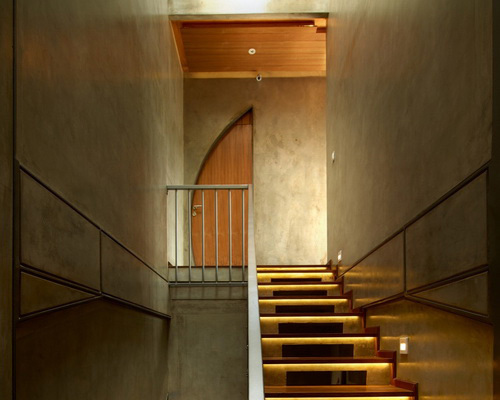 RAW Architecture designing residential building in Villa Meruya with solid walls and high, enclosed fence without gaps to withdraw from the city are noisy and create peaceful atmosphere, but it has open space inside. 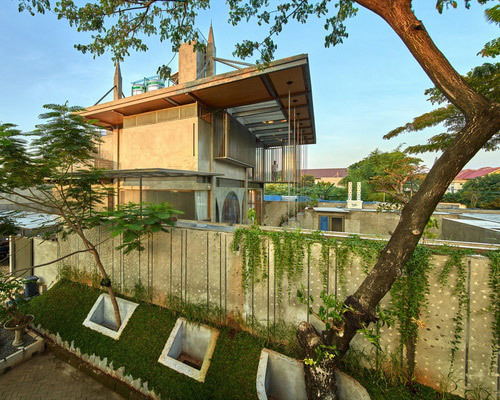 OMAH Library and bookstore consists of master bedroom, living room, a place to work, library, kitchen and an open courtyard. 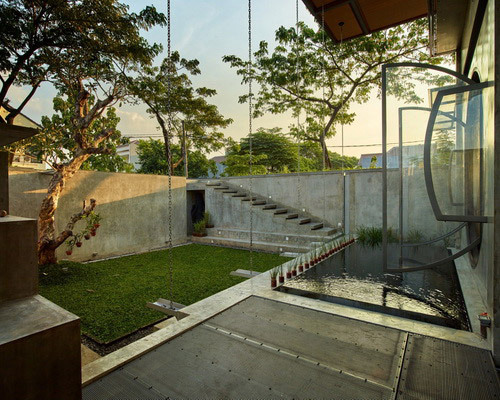 The gate using concrete materials, steel, glass and polycarbonate sheets. Private access separated by open air corridors to the foyer 2x2 m.
Circulation interlocked to provide easy access for the owner. The living room and dining room total 35 square meters located on ground floor, while the more private family room located on the first floor and limited by stairs to separate family area and workspace. 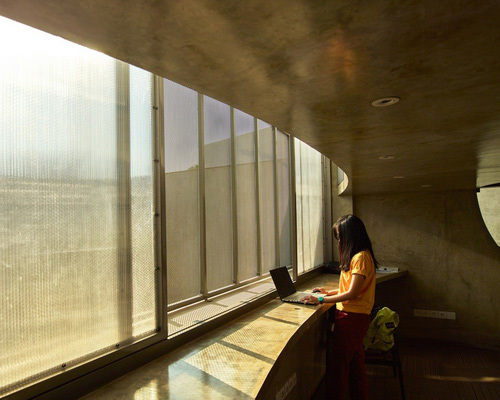 While tropical sun from east was blocked by placing solid wall and facade is open to north-south orientation, pyramid shape allows light to come into the center building and allow circulation of fresh air through small gaps between glass and concrete. 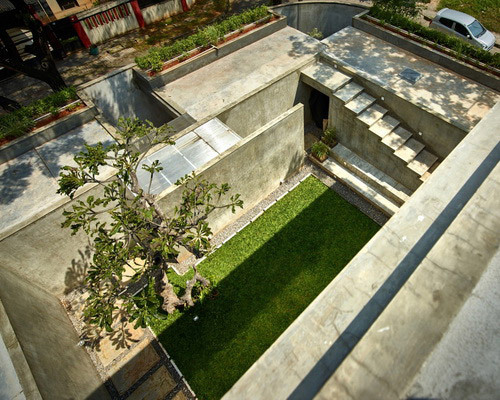 Buildings use automatic watering systems that implement rainwater runoff. All water collected into retention basin with capacity 8 cubic meters by 3 meters long, 2.75 meters width and depth of 1.5 meters. 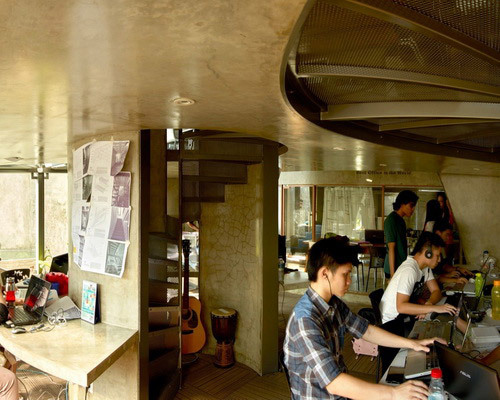 The workspace consists square room 6 meters x 6 meters and tiolet. 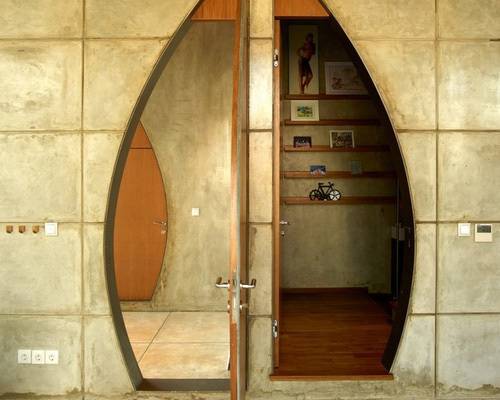 The ceiling has firmly corner made of concrete with few small slits to provide light and air circulation. 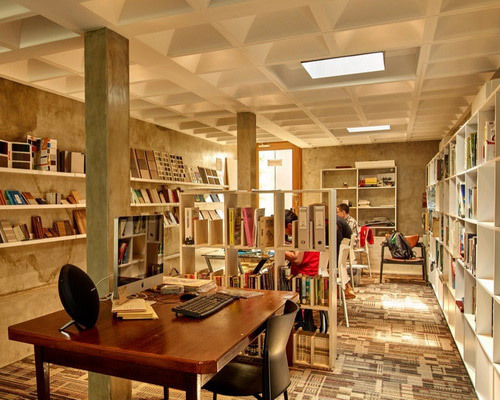 An open library has size of 3.4 x 12.3 meters. 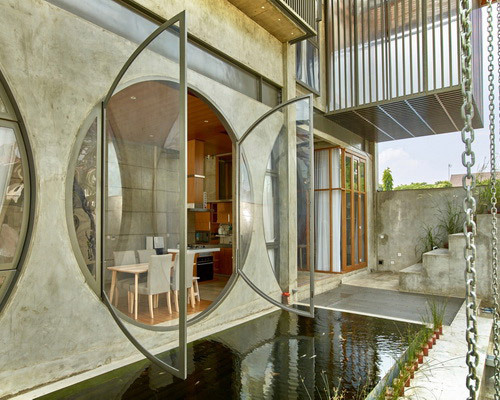 Courtyard alive with fish pond featuring background circle window radius of 3.5 meters by 3.50 meters to give panoramic view of garden from living room. 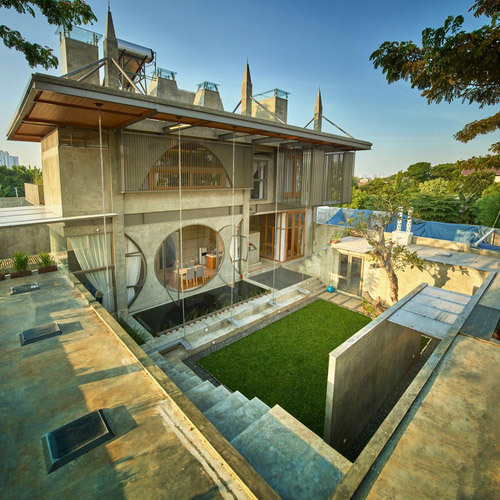 The project implements the form to maximize circulation in tropical climate of Indonesia.